Product code: BJBK1806 Categories: Boots, Men's, Sale, Western Boots. Black Jack Boots® takes great pride in presenting the finest boots, belts, and accessiories in the industry. Their boot making process begins with the selection of the best leathers and findings around the world to ensure fit, comfort, and durability. These boots feature a black alligator hornback foot, 12″ black goat upper, round toe with leather insoles, black leather outsole, single stitched welt, and 1 1/2″ heel. Handmade in El Paso, Texas. Tags: Alligator, Black Jack Boots, Dress Boots. Black Jack Alligator Hornback/Body Cut Cowboy Boots are a classic styled boot that comes with a special inlaid alligator design on the shafts! 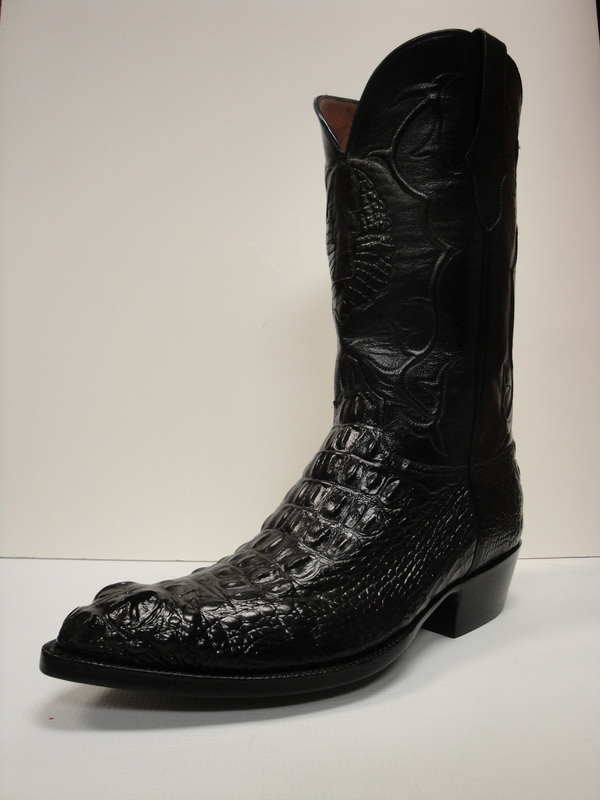 Black Jack Alligator Cowboy Boots are 100% hand crafted from American Alligator! Black Jack Alligator Hornback/Body Cut Cowboy Boots are of such outstanding quality, durability and no doubt make a powerful statement. You will not find this caliber of boot at a better price! We know your going to love the comfort and durability of these amazing boots! Do yourself a favor and order now!